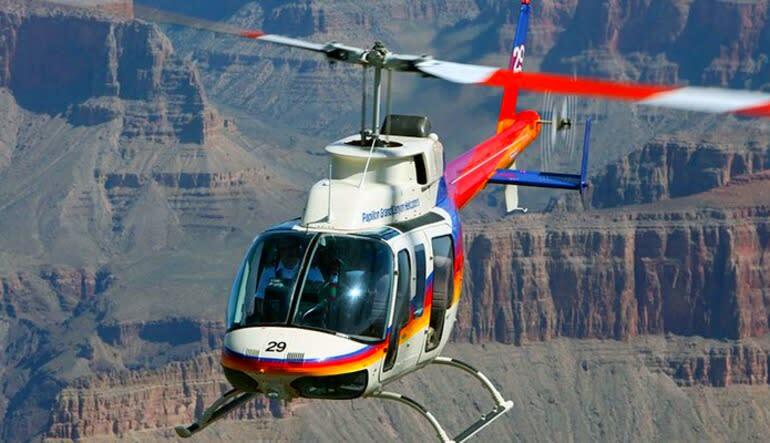 Your North Canyon Helicopter flight will take you over Dragon Corridor, one of the most recognizable and frequently photographed portions of the entire Grand Canyon. You will be picked up at your hotel in the morning for a brief transfer and orientation at our bus depot. 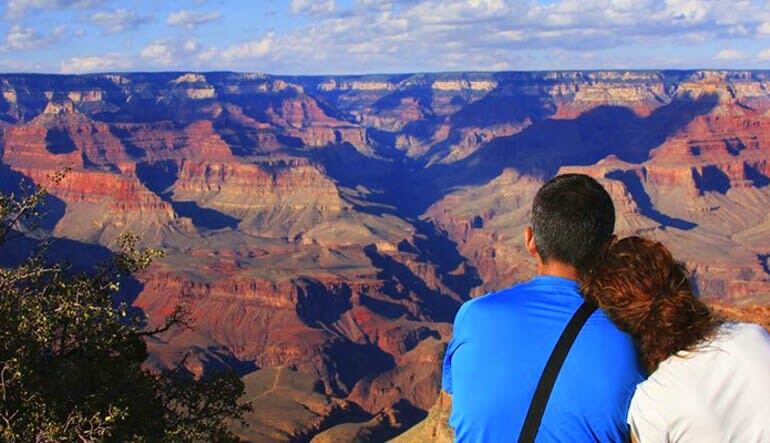 Your coach will proceed on through the surrounding Mohave Desert and along the Colorado River, bringing you to the magnificence of the Grand Canyon’s South Rim. 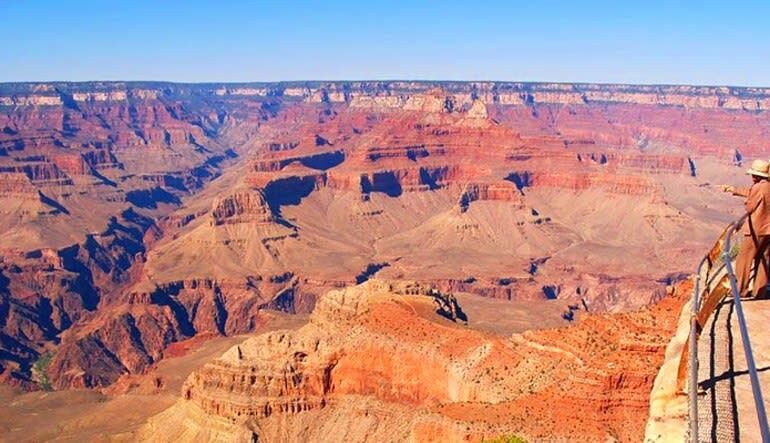 You can hike along the edge, marvel at the beauty of the colors, the vistas and the canyon floor below, shop for souvenirs and absorb as much of the history and significance of the area as you wish through the exhibits in the historic district. 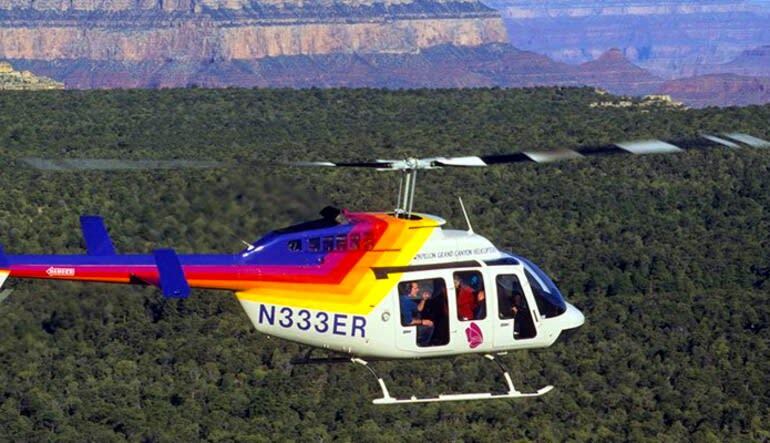 Then, the part that you have waited for: Your North Canyon Helicopter flight will take you over Dragon Corridor, one of the most recognizable and frequently photographed portions of the entire Grand Canyon. Music and narration tell the story of the natural forces that shaped this world wonder as you fly over the river which seems to flow so peacefully below. 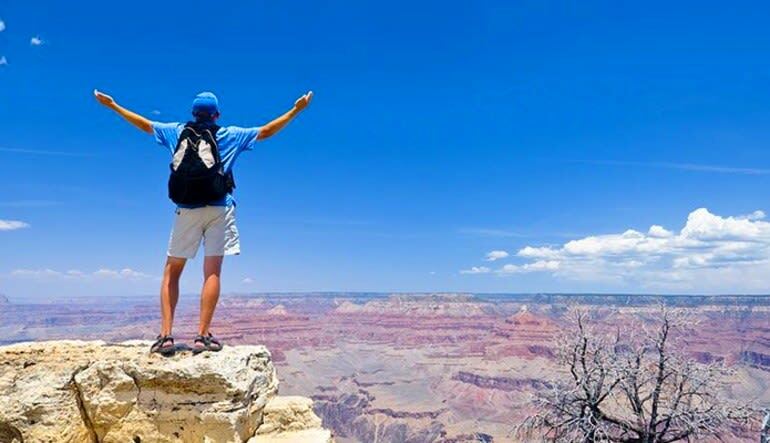 As your flight comes to an end, leaving you wanting more, you will board your coach once more for a quick trip to the National Geographic Visitor’s Center and a complimentary lunch stop at the food court there. After lunch, you will re-board your coach for the return trip to Las Vegas.